Where you live in the world: I live in Brisbane, Queensland, Australia. Comments: I would like to tell you a little about my experience of having Asperger's Syndrome and my life as a sufferer of this condition. I was diagnosed with Asperger Syndrome in July of 1998 and I am presently coming to terms coping with this condition and trying to promote more awareness of Asperger's Syndrome within the community. I was admitted into the University of New England in 1994 in Armidale, New South Wales, Australia, to undertake a Bachelor of Arts degree. For me, I never thought that I would ever go to university, and the High School where I attended earlier never expected that I would ever go far in life, let alone attend university. While at university, I thought that I may be able to make friends with young people and at last fit in with them but this was not the case. I now wondered whether I could ever be like other young people at university. For instance, I wondered if I could partake in the activities that other young men engaged in such as play football, or engage in rough and rugged activities. Or whether I could change myself by dressing like other young men who used to drive fast cars, wear curved brimmed caps, roll their shirtsleeves up to their elbows, wear shorts or jeans, and drink beer. However, at the end of the day I knew that this was not me and I found myself again in social isolation having no friends and feeling lonely. It was also the first time that I ever left the family home and to take on the responsibility of arranging a timetable, choose my course subjects, find out the mealtimes and find my way around a university and a new city. At the end of 1994 I was also to fail a full year load of university, which caused me to be excluded for one year. It was after this that my self-esteem was at an all time low. I had tried so hard and now I did not know what to do. However, on arrival home and discussing the options with my parents I realised that it had been such a big thing for me, with my limited background in education and, although this was a setback I would not give up. The University had recommended I undertake a Tertiary Preparation Certificate as they thought failure was due not to lack of knowledge but rather the inability to write assignments and prepare for exams. Once completing this Certificate, I then reapplied to the University of New England and was readmitted there in 1996. While at university I tried house sharing, boarding and living in the UNE flats and none of these ever seemed to work. No matter how hard I tried, I could not master the ability to make friends. I used to go for long walks and talk to myself by means of self-talk and categorized my difficulties of making friends to the three strikes and you're out scenario­ I will best describe them as: 1. I'd say "Hello"- - 2. Try to establish a conversation. --3 Be avoided next encounter. I used to phone home quite a lot and my parents, especially my mother was aware that I was very anxious and quite depressed. My mother had been doing some voluntary work at a Primary school helping students with remedial reading and had under her care a boy who reminded her of how I was at his age. My mother asked for some reading material on Asperger's Syndrome > and upon reading it with my father, both my parents felt that the article was a description of me. On my arrival home on vacation from university, my mother suggested that I make an appointment with Dr. Tony Attwood to have an assessment. I was then diagnosed as having Asperger's Syndrome in July of 1998 at the age of 26. Finally after much hard work and determination I was to graduate from the University of New England on the 25 March last 1999 at last I could prove my critics wrong. I felt so proud when I stepped up to receive my Arts Degree, as it was a real confidence boost to me. Now my next step to find employment. I went in and registered with the Commonwealth Rehabilitation Service in Brisbane which helps people with disabilities and in March 1999 they were able to get me a work-in training position in the Parliamentary Library for two months. After two months the library asked me to stay on for a further two months to fill in for a staff member taking Long Service Leave. They knew of my condition and this was the happiest time of my life as I enjoyed the people in the parliamentary library and working there as well and received a good reference from them. I recently undertook a traineeship with a State Government Department, called Qleave for 12 months and finished there in May 2001. The positive side of Asperger's Syndrome is we make good employees. In the workplace people with > Asperger's Syndrome like structure and routine in employment, are punctual, can work alone, are meticulous, pay great attention to detail, take pride in their work, do not talk during work time and do not take days off and can handle repetitive tasks. We tend to stay in positions for long periods of time and enjoy working with people who are motivated and do not mind isolation. However, it is difficult for us to interact socially with other employees and this can give the impression that we are standoffish or aloof. 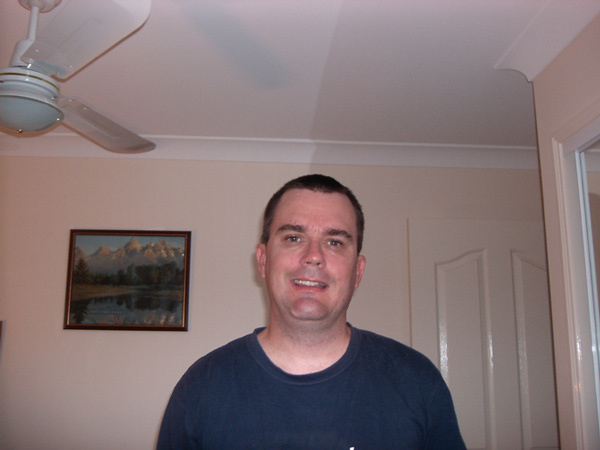 I am still trying to look for employment and have been registered with the Specialised Employment Group in Brisbane since 1999 which helps people who have a disability. I am also trying to relate with some difficulty to young people and I still find myself not being able to interact with them socially. For me this is the challenge I need to overcome as well as finding permanent employment. Update 20.8.04 : I am presently working in Administration and am getting support in my place of employment. I enjoy working in this position and hope that it gives help to others to know that they too can obtain employment.